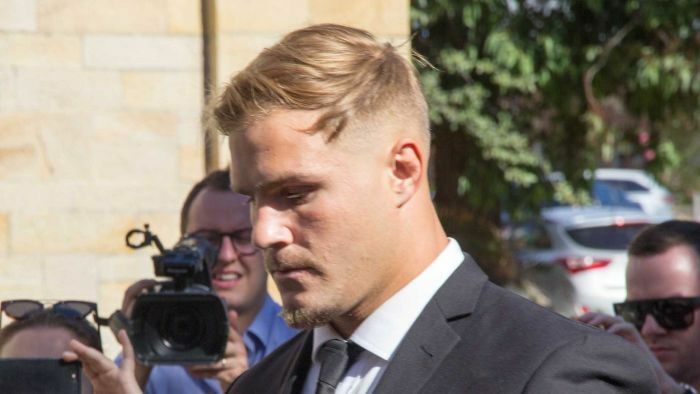 St George Illawarra rugby league player, Jack de Belin, 27, has entered a not guilty plea in court to a sexual assault charge and has had his bail conditions eased. The alleged aggravated sexual assault in company on a 19-year old woman after a night out, allegedly occurred in a Wollongong apartment early on the morning of Sunday, December 13. Twenty-one-year old Shellharbour Sharks player Callan Sinclair was also in court to plead not guilty to the same charge. 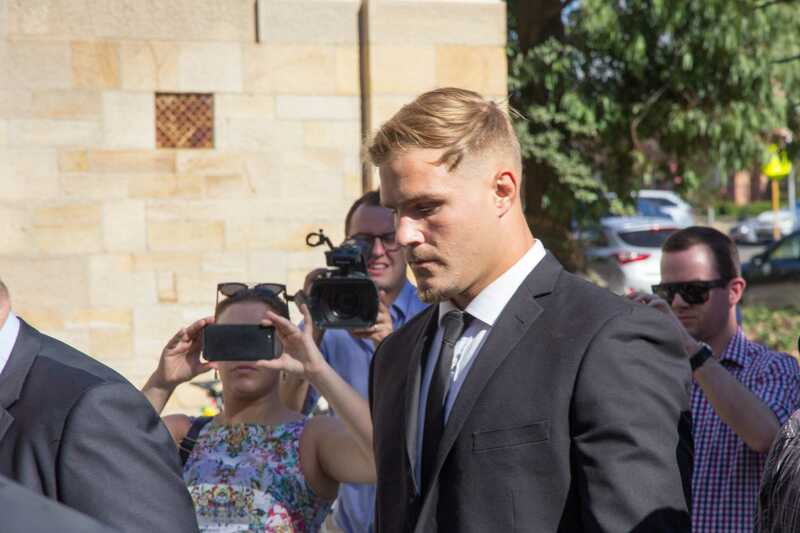 The court heard if found guilty De Belin, a NSW State of Origin forward, could face a custodial sentence of up to 20 years. De Belin’s barrister David Campbell SC sought to vary bail conditions to enable him to travel interstate to NRL games, with the season opener against the Cowboys set to be played in Queensland on March 16. Magistrate Roger Clisdell agreed to remove the conditions he report to Wollongong police station twice a week. “Given he’s a high-profile sports person, he’s been in the media for a number of years, I don’t think he presents a flight risk,” Magistrate Clisdell told the court. He also noted De Belin has a partner of six years who is pregnant, but ruled he would still be required to surrender his passport and was forbidden from attending international airports. Police prosecutor Sergeant Sean Thackray opposed the relaxing of bail conditions, noting the seriousness of the offence. Outside the court both De Belin and Sinclair declined to comment to waiting media. The St George Illawarra Dragons issued a statement noting De Belin’s not guilty plea but declined to comment further as the matter remains before the courts. Both the accused are due to return to court on April 17.